With Creo you can design, optimize, validate, and print-check the highly complex geometry that can only be produced through additive manufacturing. Create parametrically-controlled uniform lattice structures. When you combine this capability with simulation, you can optimize the lattice structure to solve multiple design requirements simultaneously. And because this is true parametric geometry, your lattice structure will be a fully-detailed part with accurate mass properties. 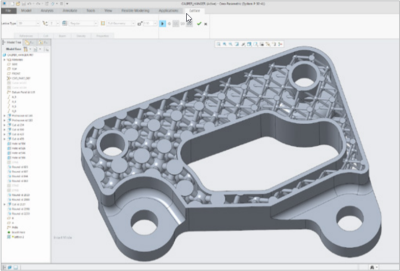 Creo 5.0 also adds support for metallic additive manufacturing.